Released in April 2016 Shimano STCI42500FA is an upgraded fishing reel and a different one than the other Shimano products. The Shimano Stradic Ci4+ has included Shimano’s XShip technology. This technology includes a pinion gear that can help anyone to achieve a smoother retrieve even when there are heavy loads. This quality piece fishing reels have some amazing benefits which will let you dig a little deeper. First, let’s talk about the Advanced CoreProtect Water Resistance Feature. This CoreProtect feature will provide a 360 degree all weather resistance. 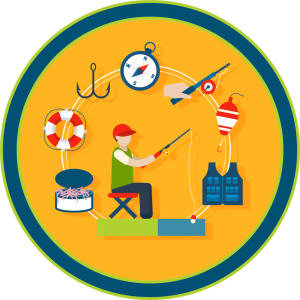 This feature will make sure that your fishing reel can last for a longer period. Less durability is one of the common problems with fishing reel, but not with the Shimano STCI42500FA. The Shimano STCI42500FA has 25% lighter MGL or Magnum lite rotor. For this lightweight, this reel has a better balance than its other designs. One of the major benefits of this fishing reel is this, that it is super lightweight but at the same time, it is very smooth to handle the reel. It also provides a strong dragging power. With the Shimano Stradic Ci4+, it is very easy to start and stop the retrieve. As it is easy to maintain therefore the user will need less inertia. All the Shimano products actually feature this quality but this model from Shimano has taken this to an extra level. Another great feature of the Shimano Stradic Ci4+ is the G-Free Body Design. To improve the balance and weight of the reel the center of the mass has been removed and placed closer to the rod. It creates a great balance for your hand. Moreover, this also reduces the tiredness that you usually feel after spending a long day in the water. As you feel less pressure on the hand it eventually makes you feel less tiring. So, no more forearm fatigue with this fishing reel. With a weight of 190 grams only, this Shimano fishing reel is one of the lightest reels that you are going to use. Though it is super light, we can give you the guarantee that it doesn’t feel weak at all. When comes about its operation this fishing reel is an absolute pleasure to use. It has an effortless casting and the line management is equally good. All in all, the line management, functions of casting all are outstanding. 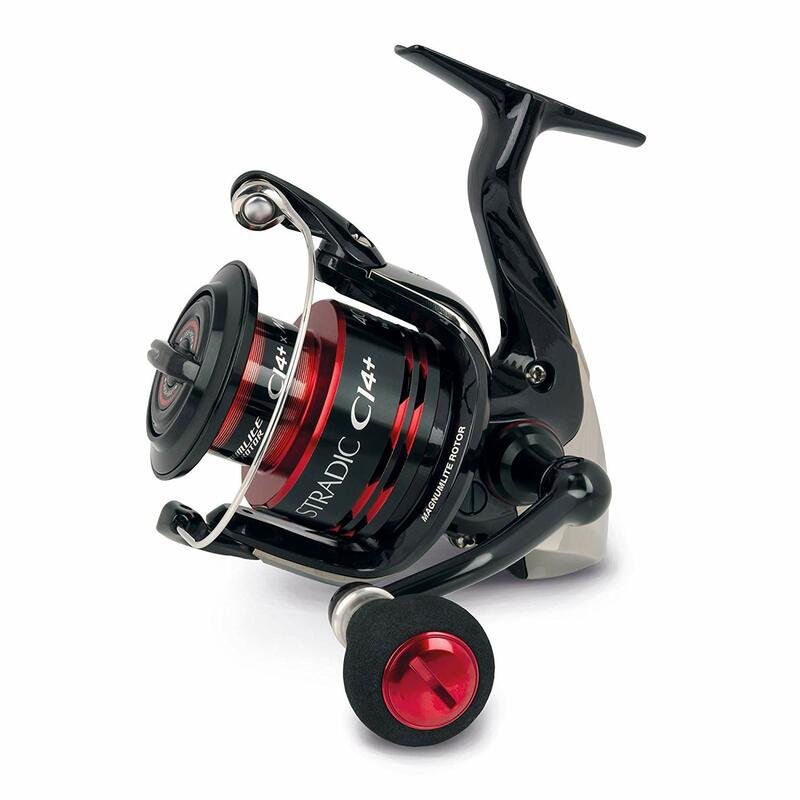 The Shimano Stradic Ci4+ has a Cold-forged Aluminum spool which provides increased strength and durability. To create the smoother retrieve Shimano has included the Ultra Hard Hagane Cold Forged drive gears in this fishing reel. This feature is best known for creating the best retrieve experience that anyone can have. It has a stronger precision gear system which places a bearing on the opinion. You can feel how amazing this feature is, only when you are under adequate pressure. The Shimano Stradic Ci4+ has the X-Ship gear support system. What is this? This gearing system is basically a combination of many features that work together so that you can get better efficiency. As we already mentioned it has positioned the pinion gear close to the center which transfers more power from the handle to the rotor. Moreover, the pinion gear of the reel is nicely supported by two A-RB roller bearings. All these things, have created more stability in the reel. It has also reduced the chances of gear twist and rotor deflection when you are using in an extreme situation. The main reason that the Shimano Stradic Ci4+ is such a smoothing reel is that it has 6 S A-RB Shielded stainless steel ball bearings. Where other fishing reels have normal ARB bearings these are different because these are shielded on both sides. As the bearing are well shielded there are very fewer chances to get dirt, salt or water to affect the efficiency of the bearing. The drag knob of the Shimano Stradic Ci4+ has one of the excellent designs of the market. The knob is petty long, and it can span almost like the width of the top of the spool. For this exceptional design of the knob, one can easily grab the reel and can make any drag adjustments without any extra effort. It has a Super Stopper II anti-reverse bearing. So now you can instantly set the hook whenever you want, and you don’t have to back play in the reel. Is this fishing reel salt-water proof? Yes, according to Shimano it is approved for saltwater and after testing it we also find it that it is. What is the warranty policy of the Shimano Stradic Ci4+? The Shimano Stradic Ci4+ has a warranty policy against any manufacturer defects. Just call their customer service number and they are very helpful to solve any issue. Where is this fishing reel is manufactured? Shimano reels are made in Malaysia. Is there any right-hand crank model of this reel? According to Shimano, the Shimano Stradic Ci4+ is suitable for both left and right hand. Is this model good enough for inshore fishing? Yes, it is pretty good for inshore fishing. However, to get the best result you may need to use a 6 or 8lb mono line. To sum up, we want to say that the Shimano Stradic Ci4+ fishing reel can give you a great experience while you go fishing. It is a super light weighted reel and at the same time, it can create smooth retrieve and enough power that you need for a fun fishing experience. Though for many customers one of the major disadvantages was the high price of the product. but, we can say that even if you are paying extra you are getting a high-quality product. So, for that reason, we think it is a highly recommended product.